Pay attention to equipment abilities and the milking routine because overmilking means under performing in the parlor. The term overmilking applies to any time that the milking unit remains on the cow “when milk flow to the teat cistern is lower than the flow out of the teat canal,” shared Penn State’s Amber Yutzy. Overmilking quite literally opens the teat cistern to bacterial infection from the reverse pressure gradients. Yutzy explained in a recent Penn State Dairy Digest article that the mouthpiece chamber vacuum of a milking unit goes up during overmilking. At the same time, the fluctuation of the chamber vacuum elevates. The combination puts added pressure on the teat end and opens the door to bacterial infection. Oftentimes that pressure to the teat results in hyperkeratosis, the thickening of the skin that lines the teat canal and the skin directly outside the opening to the teat. The combination of hyperkeratosis and higher vacuum levels increases the susceptibility of cows to bacterial infection, high somatic cell counts, and mastitis. Yutzy recommends conducting a simple strip test to pinpoint milkout level on the farm. Immediately after milking, she said, hand strip each quarter for 15 seconds and collect any milk in a container. That leftover milk should amount to around one cup. The test can also be conducted by putting the milking unit back on within 30 seconds of it detaching and applying downward pressure. After 15 seconds, remove the unit and check the milking meter. Yutzy explained that once again about a cup of milk should be collected. Any more or less, and Yutzy suggests checking equipment for issues. If automatic detachers are used, they should be maintained for timely removal of the milking unit. Employees must be well-informed about what the proper time for take off is as well, particularly in the case of manual removal of units. “It is important to look at your overall milking routine and have timely unit attachment and proper let-down, quiet cow handling and timely unit adjustment, and proper alignment,” Yutzy concluded. 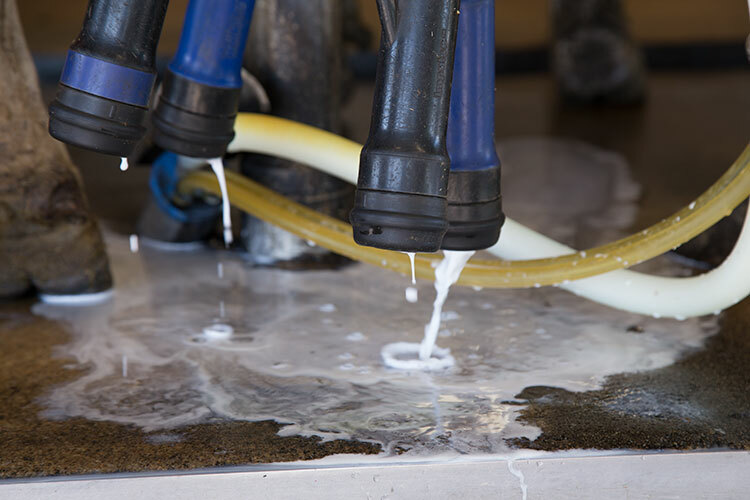 The proper amount of scrutiny given to routinely performing strip tests and regularly checking teat end health allows farms to stay ahead of over or under milking concerns.